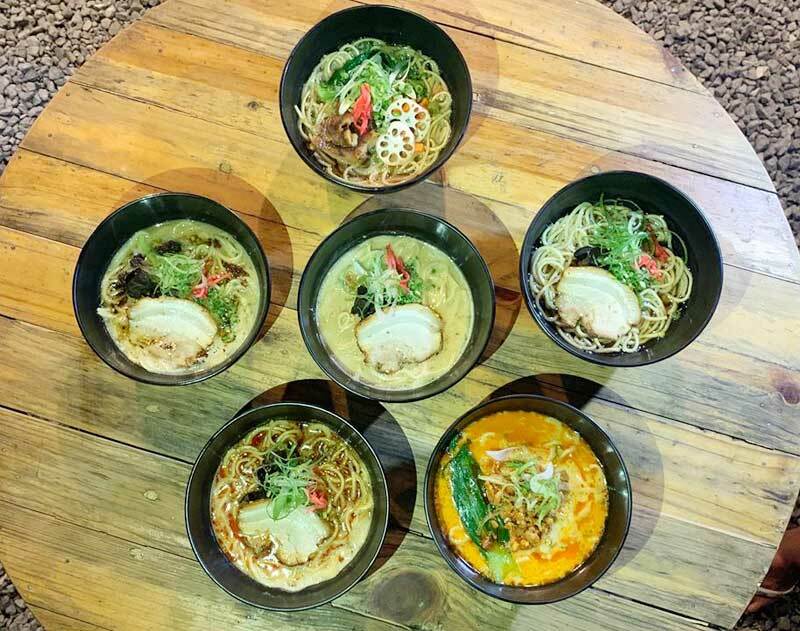 Japanese food has long tingled the taste buds of Filipinos so it’s no surprise that this new ramen restaurant has attacked Manila. Ramen Attack at The Pallet in Poblacion, Makati, boasts authentic Japanese ramen, gyoza, karaage, tebasaki, and others. 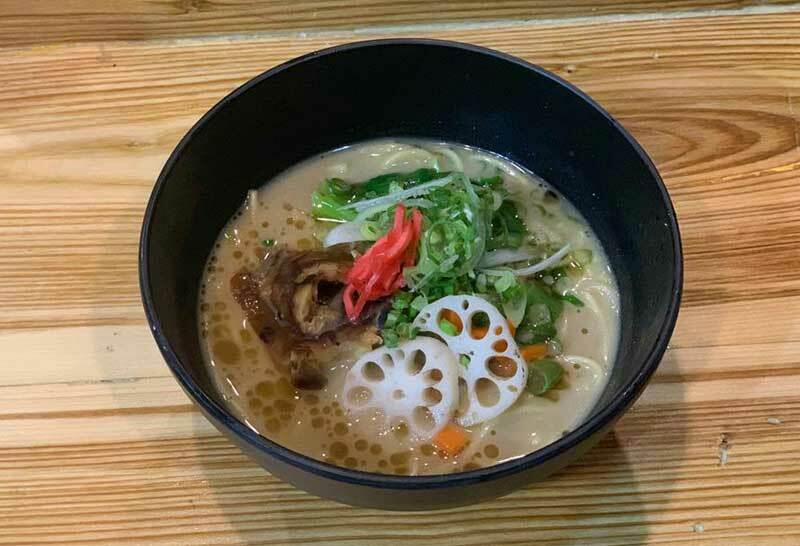 Diners say they love Ramen Attack’s Tonkotsu Shoyu Black with its tasty broth, perfectly cooked noodles and melt-in-your-mouth pork. 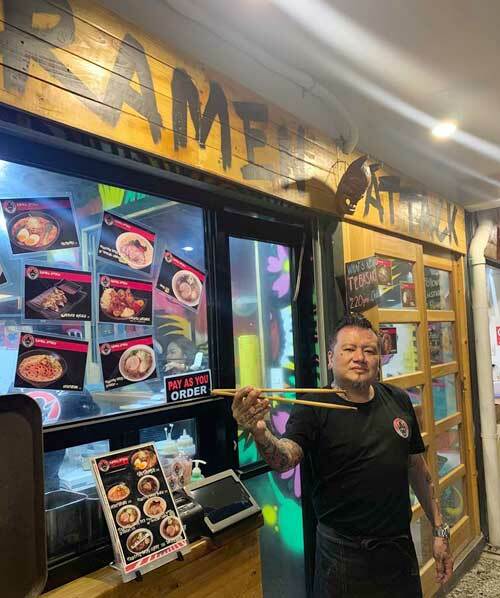 Established in September last year, Ramen Attack is the brainchild of tattoo master and president of the Philippine Tattoo Artists Guild (PhilTAG) Ricky Sta. Ana. Tattoo artist Ricky Sta. Ana shares his love of ramen at his restaurant in Poblacion, Makati. Sta. Ana has traveled the world sharing his craft in conventions and tournaments. Whenever he travels now, he makes it a point to try different kinds of ramen in different places to compare the taste of Ramen Attack’s specialties. “Nakita ko talaga yung difference ng lasa ng ramen namin. Yung mga tao compare us with one of the top ramen restaurants here in the Philippines,” said Sta. Ana, who believes that preparing ramen is an art in itself, hence Ramen Attack’s dishes are only prepared using the best, freshest, homemade ingredients. Ramen Attack serves a variety of ramen made with fresh ingredients. “We use all original, authentic Japanese ingredients, even the shoyu or the toyo we use. Even when we buy a soy sauce base in a Japanese store, we still mix it to suit our taste. We make our own sauces,” he shared. The creamy and spicy Tantanmen is another favorite. Sta Ana said it’s a hot pork-based broth with Japanese spices and leeks sautéed in a special chili sauce. Ramen Attack serves authentic Japanese dishes. Tonkotsu Shoyu, on the other hand, has pure, extra thick white pork broth with bone. 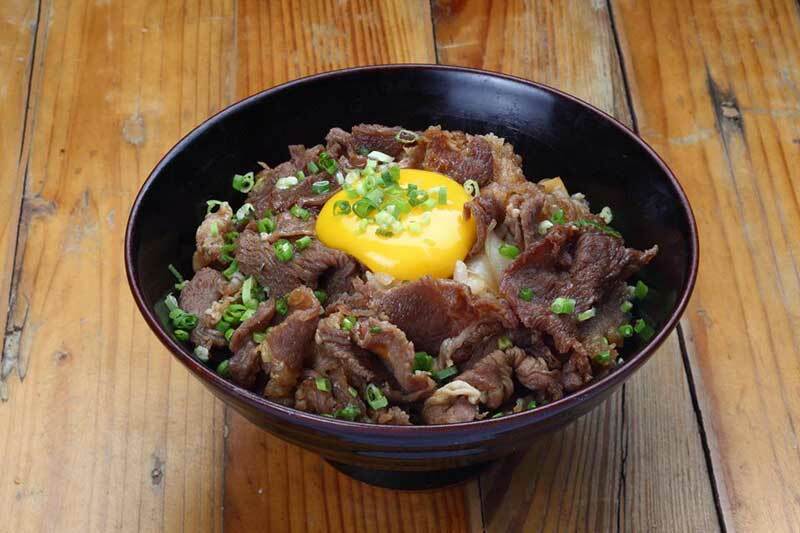 They also serve donburi (rice toppings) for the rice-loving Pinoys. Sta. Ana always has his Filipino clients in mind. He always makes sure that the dishes meet the meticulous taste of Filipinos. He personally samples the food they serve to check if there are changes or if it can still be improved. He asks the customers what they like about the dishes and makes it a point to teach them how to properly eat ramen the traditional Japanese way. He also makes sure that the menu offers affordable food. The 100-gram ramen starts at P348. Recently, they added a junior size (70 grams) for only P188. Sta. Ana’s plan is to build a group of ramen restaurant bars and will soon open Ramen Attack for franchising.